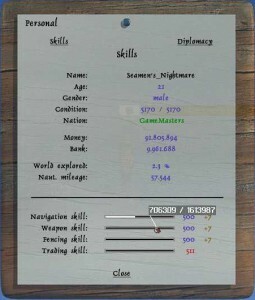 When you click personal you can see details about your character (char). Age is 20 when you start out and your char will turn 1 year every real month. Gender you choose for your char.Condition of your char.Nation of your char. How much money, you have on your fleet.How much money, you have in bank. How many % of the world your explored, maximum is 80%How many naut. Mileages you have sailed. 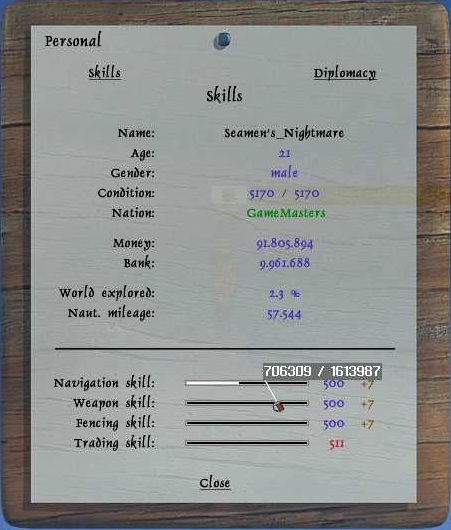 you can see how many points are needed to level up. 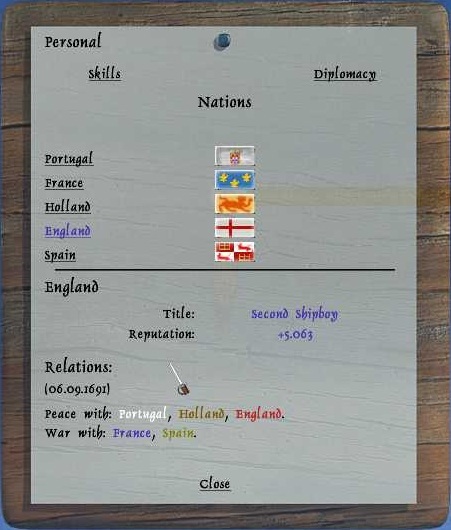 When you press diplomacy you get the 5 nations. If you clicking one of them you get a description of what title you got at that nation. points. Or sometimes you can get the points update at a governor of a different nation. 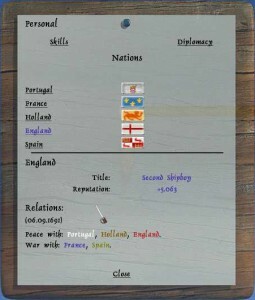 The diplomacy relations for the nations and when you last updated it.Remember if not updated the info can be wrong.